The Palix are a newer trending model of wading boots designed to keep aquatic hitchhikers off while wading. Instead of a felt sole, the Palix utilizes "sticky rubber" as a means of grip. In my opinion felt wading boots have the superior grip but they also have a higher chance of carrying and transferring aquatic hitchhikers. In many states and countries, felt wading boots have been banned therefore boots with rubber soles are the only legal options. 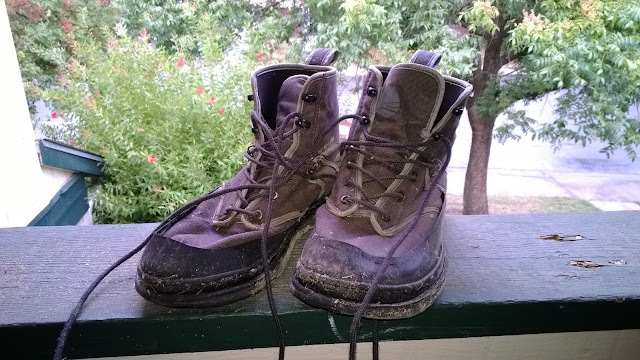 In California felt wading boots are not banned yet but it is good practice to switch to a pair of wading boots that are more environmentally friendly. The Palix will not last long if you like to hike and wade a lot. The rubber soles felt like cheap rubber tire material and wore out way too fast. These boots survived about one season until I started seeing wear and tear like the laces coming apart and the stitching coming loose. I was really been pushing my luck wearing them throughout the year whereas I had completely worn out the soles. 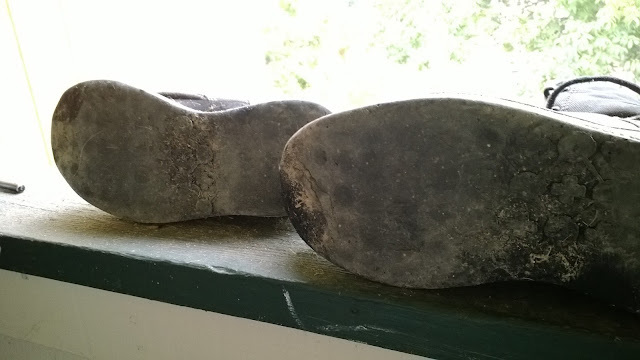 These were my first pair of sticky rubber wading boots. I was skeptical at first but after a few trips these boots felt just almost as good as felt sole boots. Rocks that had developed a thin layer of algae felt the most slippery whereas freestone stream bottoms felt the least slippery. More often than not, I had to supplement these wading boots with a wading staff for maximum effect. These boots fit almost perfectly, are very comfortable to wear, and are light weight. I wear a comfortable size 8.5 in mens and bought the Palix in a size 8. The boots fit very well even with the added layer of stockingfoot neoprene. I was happy with the fit. The Palix is a good pair of wading boots that are comfortable, lightweight, and well fit. The grip was decent however not as "sticky" as I would have liked. As an angler who needs to hike a lot to get to his fishing holes these pair of wading boots didn't meet with my durability standards. Although the stitching and laces stayed together throughout my ownership, the rubber soles wore out much too quickly. Although I was satisfied with the performance of the Palix, I will not be purchasing another pair. On a positive note, the Palix can be an affordable option if you tend fish from a boat or don't fish very often. A Wild Putah Creek Beast Appears!